If you are unhappy with your smile and, as a result, your confidence is being affected, there are steps you can take to get a beautiful new look. At Norco Family Dental Group, our cosmetic dental services help you correct minor aesthetic problems, and can even be grouped together for a total smile makeover. Dr. Ghorbanian and his team help you get the comprehensive treatment you need so you can get the new smile you deserve. 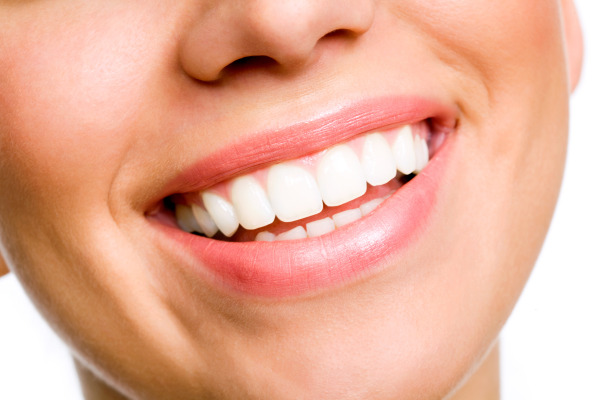 Not only will a beautiful new smile make you feel better about yourself, it also provides oral health benefits. Better-aligned teeth create an improved bite, which lessens symptoms related to TMJ disorder or chronic neck and jaw pain. Some cosmetic procedures also improve tooth strength, restoring your oral function to its original power and ability. All-Porcelain Crowns - A crown covers the entire surface of a decayed tooth in order to restore its original, healthy appearance. Crowns protect and strengthen tooth structures that cannot be restored with fillings or other materials. Our all-porcelain dental crowns look just as natural as your real teeth. Veneers – These thin pieces of porcelain are custom made and bonded onto the front of teeth. Veneers are the perfect solution for several dental conditions and are capable of changing the color and shape of your smile, so it looks more uniform. We even offer Lumineers® for patients who are interested in this brand-name treatment. Inlays and Onlays - If you have teeth with large, defective fillings or that have been cracked or decayed inlays/onlays may be the answer. We use white, tooth-colored composite resin to create these cosmetic treatments, so your restored teeth match your natural teeth. Composite Fillings - A composite filling uses tooth-colored resin, instead of metal amalgam, to fix a tooth that is affected by decay. The affected part is removed and then a composite filling is put in. The result is a flawless white smile that’s healthy as well. Fixed Bridges - If you are missing teeth, a bridge is a popular and effective solution. We use porcelain crowns to support your replacement tooth; the gap in your smile will be filled in and no one will be able to tell what part of your smile is the bridge. We design your custom treatment based on our initial consultation, where we’ll take photos of your smile and take time to understand what exactly you’re looking for. Dr. Ghorbanian goes over your goals and comes up with choices for personalized treatment plan. If you don't like the way your smile looks, we can help. Our Norco, CA cosmetic dentists help you meet your goals, so you can achieve the beautiful smile you’ve always wanted. Contact us today to learn more about how you can benefit from cosmetic dentistry.